No matter what your financial situation is, everyone needs a will. It’s a legal document that allows you to specify how you want your property and money distributed upon your death. Without it, the state could step in and your final wishes may not be followed. If you’re among the millions of Americans who haven’t created a will, online resources might be an option to help you quickly get started. Of course, there are also plenty of local estate planning attorneys available if you prefer face-to-face assistance. Here are some tips to help you decide which method suits you best. There are plenty of websites where you can create a will, often for less than the cost of visiting an attorney. An DIY will can also typically be completed in less time than meeting with a lawyer. With an online will, you fill in the blanks on a standard form or answer a series of questions used to create your document. This approach may be fine if you have straightforward needs, such as few assets to distribute. If your situation is more complicated, you may benefit from extra legal advice. Some sites have attorneys available to provide some assistance depending on the package you select. As a result, you have everything you need at your fingertips to create a legal expression of your wishes. This can be done from the comfort of your kitchen table, at a time when it’s convenient for you. Getting the advice of an attorney in your area may be more comfortable since it will be easier to get to know your personal situation. The advice could prove useful in writing a more customized will and in reviewing the document. Since wills need to be updated over time, working with a local attorney may reduce the risk of your will becoming outdated without your realizing it. If you have a complicated situation, such as having disabled or dependent children, owning assets in several states, or even multiple marriages, then consulting an attorney may help protect against missed details. Small things like a blank line not filled in, a missing signature, or a problem with witnesses or beneficiaries can lead to an invalid will. In this case, your assets will be treated as if you did not have a will. The state may take over and settle your estate. List your assets, such as any real estate you own, savings accounts, investments, life insurance policies, and retirement plan accounts. List the amounts of all your debts, including mortgages, car loans, and credit card debt. Gather names, addresses, and birth dates for you, your spouse/partner (if applicable); children and proposed guardian (if necessary), and executor. A few years ago, LGFCU member Alice S. decided it was time to put her affairs in order. Alice wasn’t sick and she wasn’t dying. It was simply the right time to make a will. She chose the in-person option offered at the Credit Union where members get affordable help managing estate planning needs with a participating attorney at their nearest branch. “Making a will had been on my mind for some time. Then one day I thought to myself ‘Go ahead and take care of it,’” Alice recalled. Alice is not married and has no children. But she does have assets that will get distributed after her death. With a will, she said her final wishes — from what to do with her home to who inherits her car — are clear. Also, this way, she said there is no added burden on her family who may be unclear about her intentions. “I don’t want to put my family in a position of stressing about not knowing exactly what to do,” she stated. Alice called her local branch and made an appointment with an attorney. She received a checklist of documents to bring to the meeting. Alice then took stock of her assets and other possessions so she could name specific beneficiaries. Knowing exactly what she needed to focus on made her appointment go much smoother, she said. “Getting the will prepared gave me peace of mind,” Alice said. Whether you choose the DIY approach or you get help from a local attorney, make the time to get started on a will today. The advice provided is for informational purposes only. 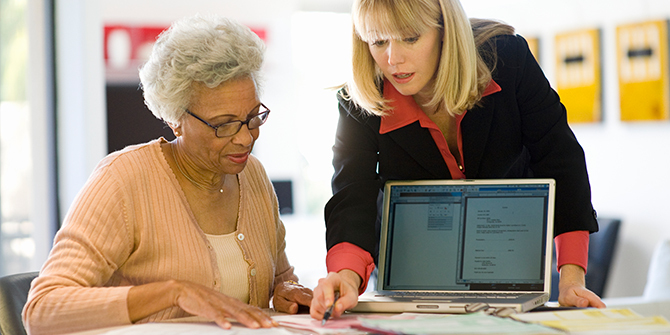 Contact an estate planning attorney for additional guidance.